Unidoor 39 to 40-inch x 72-inch Frameless Hinged Pivot Shower Door in Brushed Nickel with Handle is rated 5.0 out of 5 by 1. 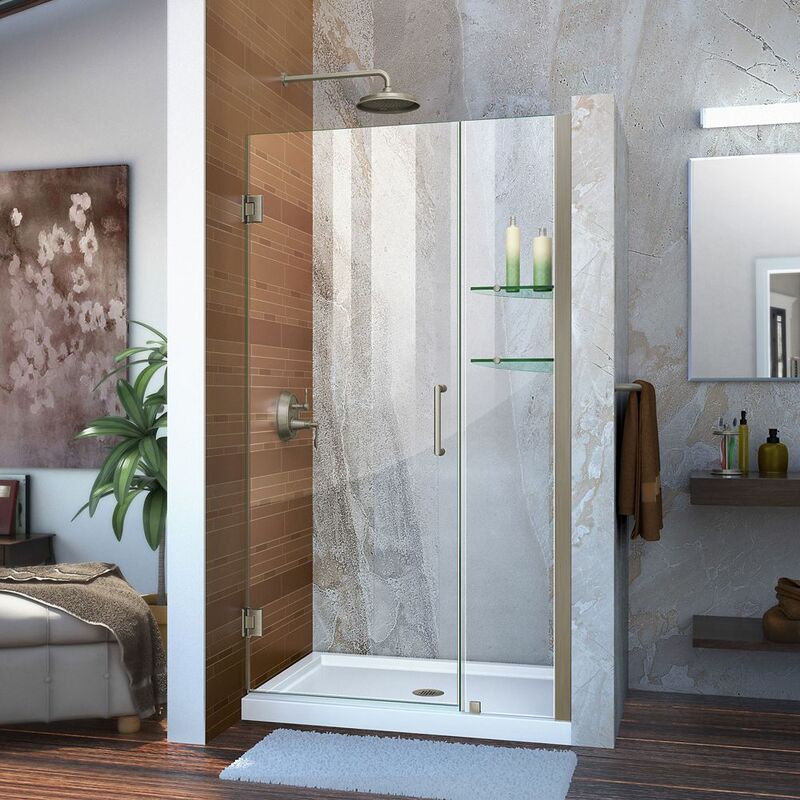 Rated 5 out of 5 by jb from Love the clear glass feature-no more daily windex treatments... Love the clear glass feature-no more daily windex treatments of the shower door. Also the shelves,which I was concerned would look "busy" actually look sleek, add a design feature and hold a lot.